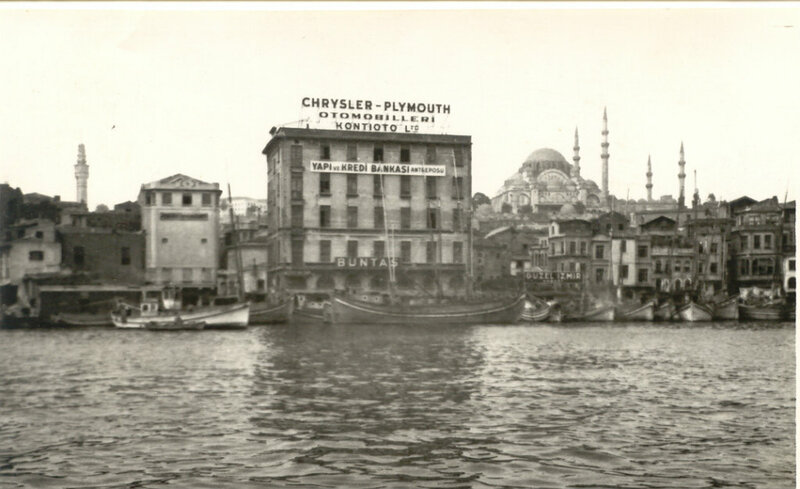 History: The Hamamcıoğlu Group of Turkish Trading Companies Inc. was founded in Istanbul by Ali Nuri Bey in 1880. For more than 130 years the company, whose board of directors now includes 6th generation members of the family, has provided the construction, mining, transportation and agriculture sectors in Turkey with the most advanced technological products from around the world. 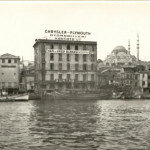 Hamamcıoğlu Müesseseleri was founded in 1880 by Ali Nuri Bey as an unlimited company and was inherited by his son Nuri Ali Hamamcıoğlu after his death. The company continued to develop and prospe under Nuri Ali Hamamcıoğlu’s directorship through his dedicated hard work and was eventually divided into several departments which were all under the management and authority of the main company. Shortly after that, each department started to work as an independent company on its own and began to export their business abroad. During this period five new branches were opened abroad: three branches in different cities of Romania, one in Greece and another in Bulgaria. In 1942 Nuri Ali Hamamcıoğlu transformed the unlimited company, which was recorded under number 333 in the trade register, into an incorporated company and passed the administration to his son, Zeki Hamamcıoğlu. 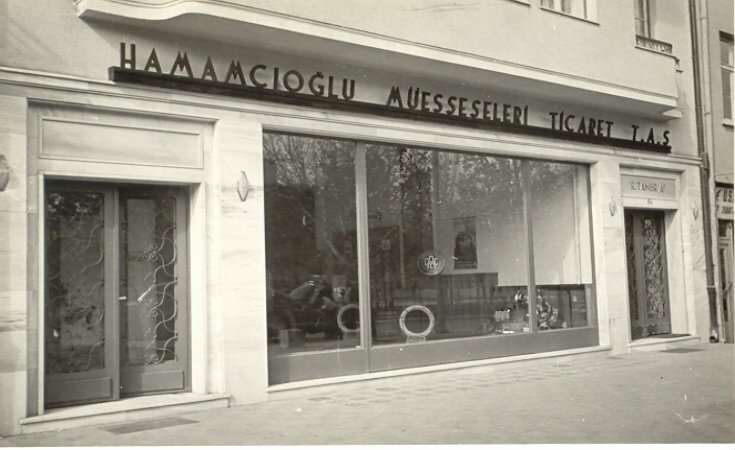 In 1949 the company’s name was changed to HAMAMCIOĞLU MÜESSESELERİ TİCARET TÜRK ANONİM ŞİRKETİ by a cabinet decree. The company is one of the few and privileged Turkish companies to have been granted the honor to use the title “Turk” in their names. In 1994, following the death of Nihat Hamamcıoğlu, the administration was passed on to his sons. Münir Hamamcıoğlu and Nuri Hamamcıoğlu are executive directors of the company and are responsible for the administrative processes. 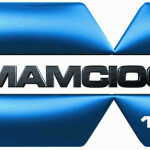 As of 2001, the board of directors also included 6th generation members of the Hamamcıoğlu family. In 1935, following the marriage of Nihat Hamamcıoğlu and Belma Tokgöz, the Büyükada Splendid Hotel, which was opened in 1908, was taken over by Hamamcıoğlu family. 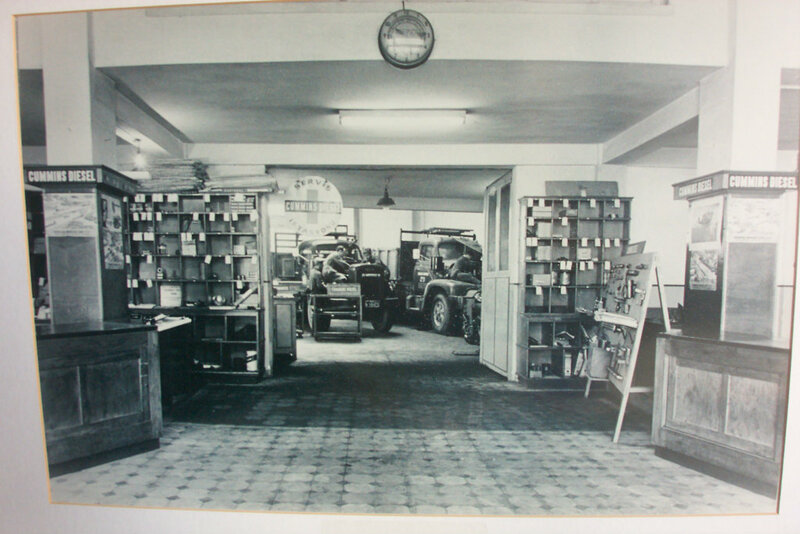 Until 1946 the company was involved mainly in the exportation of agricultural and seafood products. 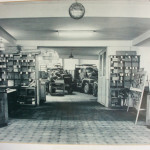 In 1947, the company changed its field of business from exports to imports and agricultural and seafood products to industrial equipment and parts. Today, Hamamcıoglu offers an extensive range of products to the Turkish market; generators, cranes, air compressors, gas booster compressors, construction and mining equipment, trucks and trailers and spare parts and aftermarket services for its various businesses. Through offering consistently high quality service of sales, replacement parts, technical support, and product information, Hamamcıoğlu Incorporated successfully represents some of the most respected international companies in the world. The company headquarters are located in Tuzla, Istanbul with branch offices located in Ankara, Izmir, Adana and Antalya. In addition, the company provides spare parts, technical maintenance and repair services through its dealerships throughout Turkey and Northern Cyprus. Furthermore, the Büyükada Splendid Palas Hotel, with all its grandeur and historical importance, still welcomes guests and is one of the most valued legacies of the Hamamcıoğlu family. Hamamcıoğlu Incorporated, embracing the principles of stability, quality, perfection in customer satisfaction, and unflagging service, continues to grow, develop, prosper and renew itself with every passing day, never forgetting its past and its founding principles, and is proud to be so.